Control your temper in December. Welcome on a fine Saturday morning here in good old London Town were a mixture of rain, wind and sunny spells shapes our weekend. You cannot control the weather but the real question is can you control your temper. Your temper maketh your day, your week and your life. Quote of the day: ‘Our temperament determines our success. We extend our tempers to others over our own frustrations, yet it is upon their existence that our overall success is determined.’ We shed our anger, our temperament and our frustration to others in a manner that can be quite frightening. 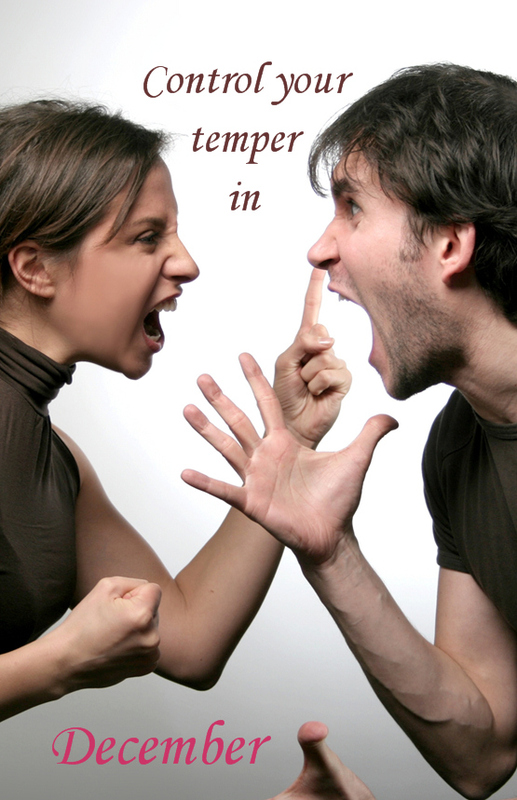 Have you encountered an angry, tempered and frustrated person charging at you? This is exactly how they feel when you charge at them. Controlling your temper maketh your day, your week, your month, your year and finally your life on planet Earth. December shall be upon us. Before the dawn of 2014 we need to control our temper in the way we control the temperature with a thermostat. When I received my revelation over 19 years I was elevated in a stance that would change my life. I realised how important individuals really are. I needed to embrace this new friendship with open arms. I now have over 7 billion friends of whom I shall always care for, share with and remain constantly fair. Donating to charity which Universally Friendly constantly does is one way of expressing true friendship. Understanding people is another. You cannot change the moods of others but you can certainly control your own. When I first made available the third book in The Modern Day Trilogy series called ‘The Key to Happiness’ to my students I received a good feedback. They said that they were overwhelmed by the context of temperament and how we should embrace each other in a new way. I want you to exercise your temperament like never before. You cannot change overnight but use December to control temper. Watch your words, observe your actions, challenge your mind, focus on your good deeds and live with constant anticipation. Anticipate the temperament that is about to come your way from the person beside you or in front of you. Do this with constant determination and see how the New Year shall be despite the recession or the weather or the temperament of others. Have a splendid day and remember tomorrow shall be the beginning of a new month but also the beginning of a new person in you. March into March using the MODE Effect.